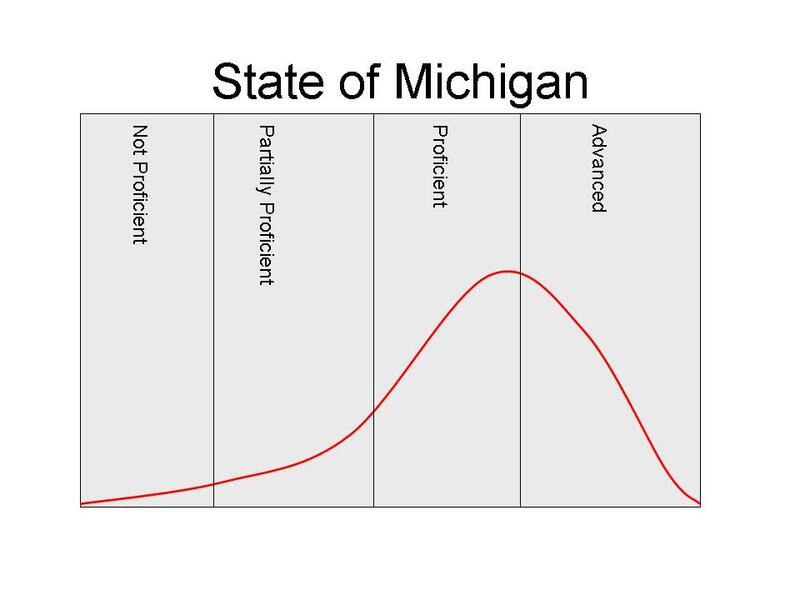 The State of Michigan has released MEAP Scores today. They are available on both the Detroit Free Press website and the State of Michigan Office of Educational Assessment and Accountability website. The OEAA website also breaks down the scores by the levels of Advanced, Proficient, Partially Proficient, and Not Proficient. However, it is more difficult to do a year to year comparison as only one year’s data is shown at a time. 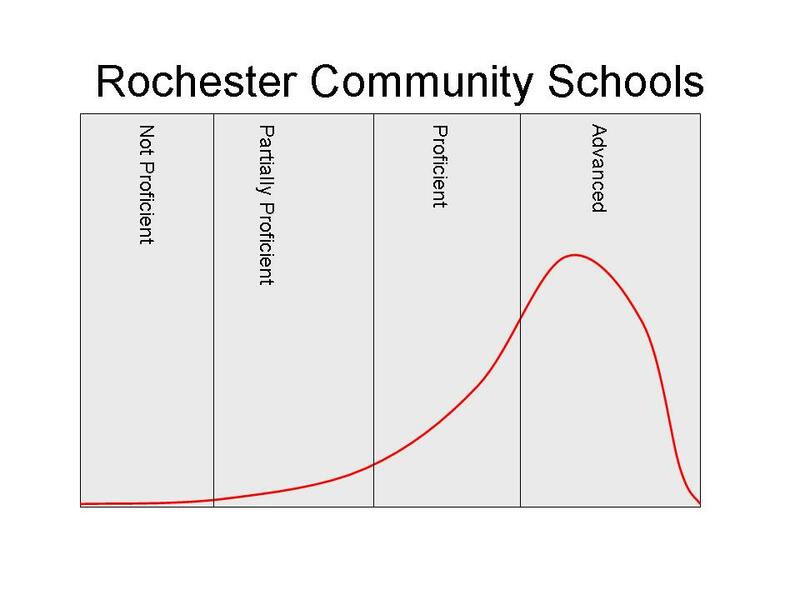 Rochester Patch has also provided breakdowns by school and district averages for Rochester Community Schools. I’ve included Rochester Community Schools (our district), Albion Public Schools (our superintendent-select’s district), and statewide data. Here are the Raw MEAP Scores from 2006 to 2010 for Rochester, Albion, and Statewide. Regarding Rochester, results were mixed, but there were no significant swings of 5 or more points district-wide. Individual schools have not been examined. For Albion, results were also mixed, but there were some significant swings of greater than 5 points. Why did I present this data? I didn’t do it to knock Albion, but it does need to be shown that there is substantial difference between the two districts in terms of MEAP Scores. Saying that in one district, 92% met or exceeded standards and the other 78% met or exceeded standards does not show the full gulf between the academics of the two districts. Second, this gulf is going to get much wider very soon. New MEAP cut scores are coming out next year. My guess is that they will be fairly close to the Advanced cut score on the current tests. If this is the case, Rochester would have had 72% of student’s exams at met or exceeded standards and Albion would have 29%. (State numbers would be 41%.) Looking at the MME results, even moving cut scores to the Advanced mark would appear to be too low to predict college readiness. 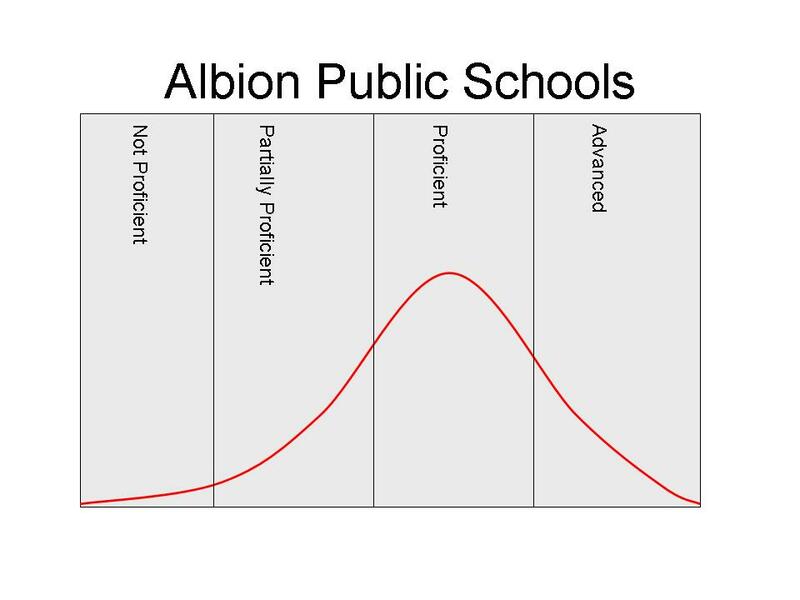 There are significant demographic differences between Rochester and Albion that account for some of the differences in MEAP scores. I give Mr. Clarke credit that Albion’s MEAP scores in math did increase while he was superintendent and MEAP scores in reading appear to have begun increasing as he stated. But the enormous gulf in MEAP scores between Albion and Rochester still raises the question of if there will need to be a significant mindset change for him to be an effective superintendent here. Time will tell and our community will need to help with information and support to assist him in his new role. ← Why is Advanced and Gifted Education Necessary? I like the graphs, Joshua. I had never looked at it that way. Interesting. Those will be much more meaningful comparisions than just looking at the statewide averages. The ACT comprehensive college readiness benchmark score disparity between Rochester (34.7%) and Albion (4.9%) is even more dramatic. Rochester’s college-readiness trend data can and should provide fundamental metrics for assessing Mr. Clarke’s effectiveness as superintendent. Let’s hope the school board will track these trends carefully.